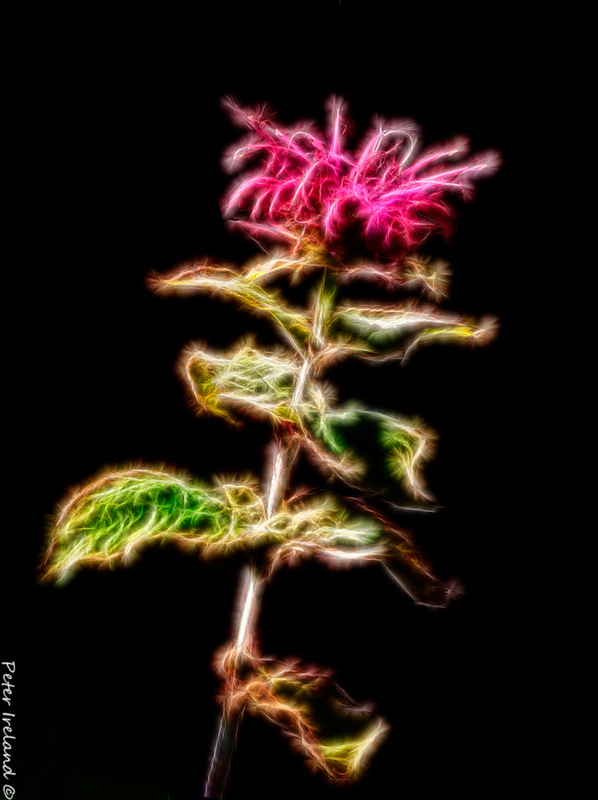 I was messing about in my garden today after tweaking the OS on my Sigma 150-600 c. I also experimented with exposure compensation on the camera and ended up with a well lit Bee Balm with a dark background. Using curves I was able to darken all around the flower completely, then ran Fractalius and added saturation. Also rotated the flower so it wasn't standing upright. I wonder if this is how bees and hummingbirds see this flower! A wonderful, attractive, glowing creation Peter. The black background really makes it pop, and the angled composition works especially well. Looks like you had a lot of fun with this-very creative! I couldn’t have said it better. Great job, Peter!